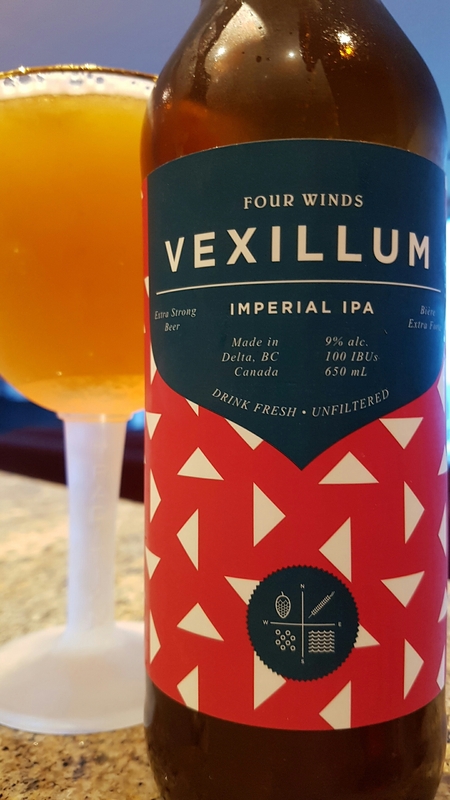 Vexillum Imperial IPA – Four Winds Brewing (Delta, BC, Canada) | Justintoxicated. Visual: Pours golden orange with virtually no head, very thin hazy layer of retention, slow steady streams. 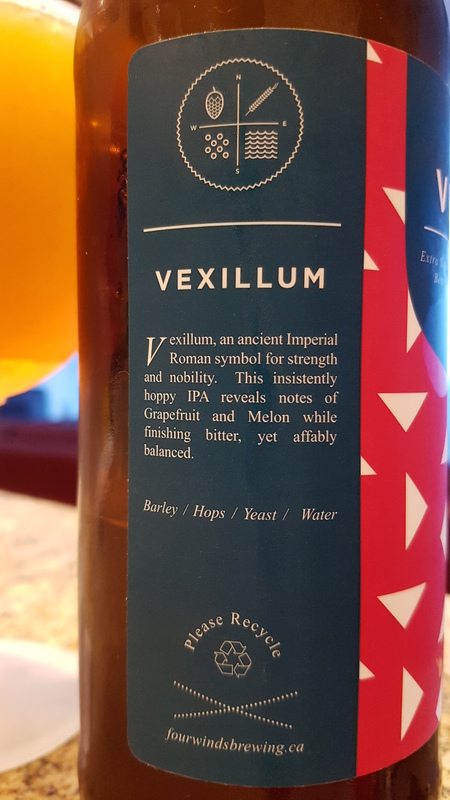 Summary: smooth-full tangy citrus malt, alcoholic but overall quite clean. Solid.